AngBeKi take their friendship to the next level! 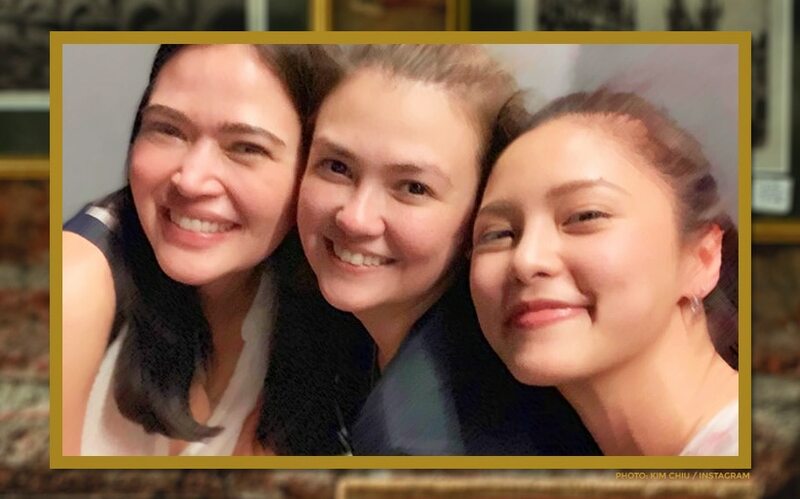 Famous girl squad Angelica Panganiban, Bela Padilla, and Kim Chiu definitely sealed the deal for their eternal friendship with their matching tattoos. The AngBeKi trio debuted their new ink on Instagram last night, February 10. The design is nothing big, just a small and understated dot on their left wrists. According to Bela, "Exes Baggage" director Dan Villegas was supposed to be part of their tattoo squad but he backed out last minute. She wrote, "We got inked!!! This was supposed to be the test for our fourth member, itago natin sa pangalang Dan Villegas, who conveniently had to leave when it was his turn." Kim also shared photos on her Instagram, and went to a more touching route for her message, writing, "Miss these two! We may not see each other most of the time but we always have each other's backs! Love you both! #AngBeKi rocks! Stronger than ever! (Wow! Ano daw?!)" Aminin mo: medyo gusto mo na ring magpa-matching tattoos with your best friends. Bela was part of the Vice Ganda-led "Fantastica" which was Star Cinema's official entry to the 2018 Metro Manila Film Festival. Kim, on the other hand, led the cast of the horror comedy "Da One That Ghost Away" last year. Angelica also made a splash on the big screen last year in "Exes Baggage", her reunion flick with former on-and-off-screen leading man Carlo Aquino. Bela Padilla, swak na swak sa Paris!